262 pages | 33 B/W Illus. This essential guide promotes learning through activity-centred adventure experiences, providing skill development, social education and personal development for practitioners, teachers, support staff and youth groups. 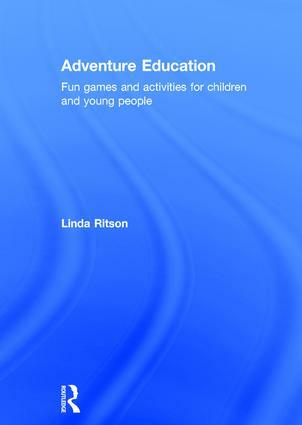 This book offers advice and practical guidance on planning, setting up and running adventure education sessions with children and young people. Divided into two parts, it gives an overview of adventure education, explaining how it relates to holistic and outdoor learning and how it encourages active engagement from the learners as well as the instructors. Adventure Education provides a toolkit of various games and activities that can be used with groups of young children, including parachute games, card and musical activities, and climbing and traversing games. This book will be essential reading for all Early Years practitioners, Primary teachers and support staff wanting to develop their skills and deliver adventure learning effectively, as well as youth groups looking to provide informal learning as well as physical opportunities. Linda Ritson has worked with all ages of children and young people in a range of practitioner roles for many years and is currently employed in Children’s Services with Nottinghamshire County Council, UK.